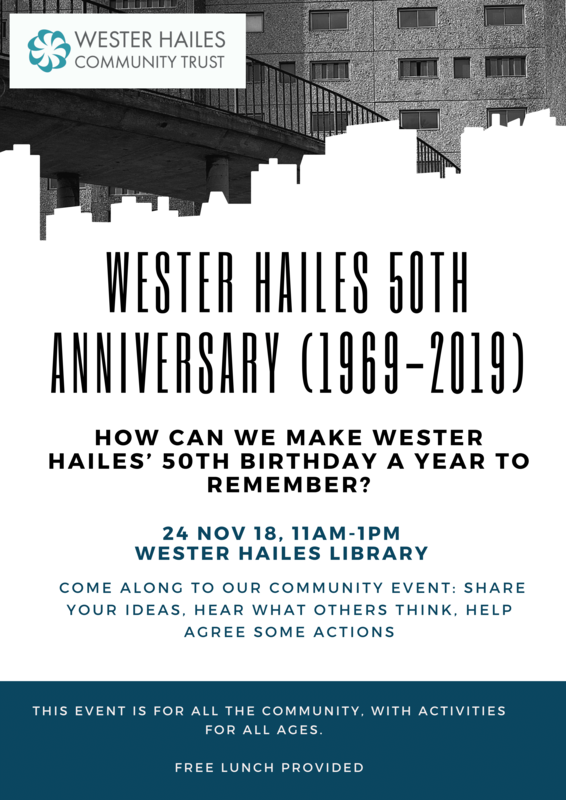 Wester Hailes will be celebrating it’s 50th anniversary next year 2019 and the Wester Hailes Community Trust wants to make it a year to remember! Come along and share your ideas, hear what others think and help agree action points to make it happen! The event is for all the community. There will be a special workshop for primary aged children and a free lunch will be provided. For more information contact the Wester Hailes Commuity Trust on info@westerhailesct.org.uk or 0131 458 3267.